Go on a treasure hunt with a metal detecting robot that you built. Roll this little guy back and forth. At the sound of a beep you know that you have found something metallic! 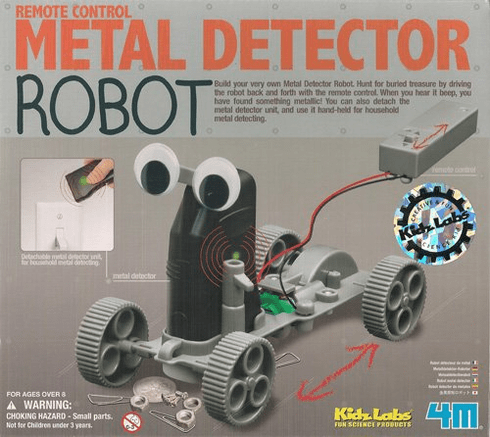 Toy features removable metal detector. A must have for all treasure hunters!For ages over 8. Requires 1AA 1.5 volt battery. Battery not included. Requires small cross-head screwdriver to assemble. Screwdriver not included. Measures approx. 14 cm long when built.